If you’re a homeowner (or thinking of becoming one), you may be left wondering how the tax reform legislation will affect you. Don’t worry, you’re not alone. I hope the synopsis below will help you understand the new tax bill (which is the most significant overhaul to the tax code since 1986), as it pertains to home ownership). The plan is expected to lower income tax bills next year for many households. Several provisions that have a direct impact on the housing market were added, taken away or altered during the legislative process, leaving confusion about what remains in the bill. Below is a look at what the final version contains and what it means to homeowners, buyers and sellers. Standard deduction: The new law increases the standard deduction to $12,000 for single filers and $24,000 for joint filers. 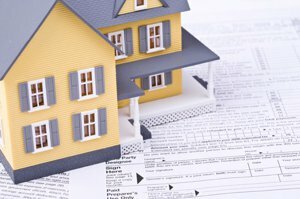 For many homeowners it no longer makes sense to itemize deductions (by taking the mortgage interest deduction and property tax deduction), but rather take the standard deduction. Homeowners can refinance mortgage debts that existed before Dec. 14 up to $1 million and still deduct the interest as long as the new loan does not exceed the amount refinanced. The interest on a home-equity loan can be deducted as long as the proceeds are used to substantially improve the home. Mortgage interest on second homes can be deducted but is subject to the $750,000 limit. State and local property taxes: The new law limits the property tax deduction to $10,000, a cap that will affect a large number of home owners in high property tax areas. Capital gains exclusion: Home sellers can exclude up to $500,000 for joint filers or $250,000 for single filers for capital gains when selling a primary home as long as the homeowner has lived in the residence for two of the past five years. An earlier proposal would have increased that requirement to five out of the last eight years but it was struck down. Deduction for casualty losses: The law restricts the deduction to only losses attributable to a presidentially declared disaster. Moving expenses: The law eliminates this deduction except for members of the military. Estate tax: The law doubles the estate tax exemption to $11.2 million. Historic Tax Credit: The HTC has been used to fund renovations in more than 40,000 historic structures since 1981. The law continues to provide a 20 percent credit when the certified historic property is placed into service, but the new law spreads the deduction over five years. Low-Income Housing Tax Credit: The bill retains the 4 percent LIHTC, which funds about a third of all affordable housing construction. Information contained within this article was gathered from various online real estate sources. We advise all homeowners and buyers to seek professional accounting/tax advice from a qualified accountant. If you’d like to have a conversation about homeownership in Central Florida, contact me today! Visit my website to see available properties.